According to a recent news feature from CNN Money, there is significant confusion when it comes to the recent recall of Galaxy Note 7 smart phones manufactured by Samsung after some of the models exploded. The reason for the confusion in part is because there are two different suppliers of batteries, and the company has chosen not to call this a recall, but rather a return and replacement program. While the company may wish to use this more innocuous sounding description, federal regulators have chosen to stick with the more familiar name, calling it a defective product recall. However, before we look at the more confusing aspects of this recall, lets look at what we do know. We know that these smart phones that retail for over $900 are bursting into flames and basically exploding while people are holding them. 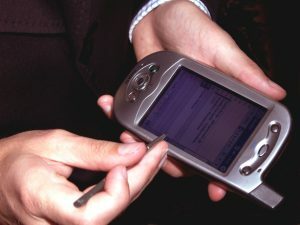 The company says that the problem only occurs while the phones are charging, but since many people charge their phones while using them to talk, text, and use other apps, this poses a significant danger.In addition to instances of cell phones exploding while charging, there have also been reported incidents of the phones bursting into flames while on board an airplane. This is an obvious concern for the the Federal Aviation Administration (FFA) and the Transportation Safety Administration. It seems that even in these cases, the phones may have been charging when they burst into flames because people frequently use those pre-charged backup batteries to recharge their phones when on the go. The TSA and FAA have said that at the the time being, these phones are allowed on the plane, but must be turned off and not connected to a portable charging device. This is unlike other phones that can be used while in flight, as long as they are in airplane mode where they do not send or receive any signals. In some airlines, travelers are even allowed to send and receive test messages while in flight, so long as the plane is not taking off or landing as all electronic equipment must be put away for safety reasons. The company has said the problem only has to do with batteries that were not manufactured by them, and the company would be replacing the defective phones as soon as possible. They have also said that customers should power off their phones and not charge them until they are replaced. As our Boston defective products lawyers have seen in many cases, companies that manufacture a defective or otherwise dangerous product will typically try to downplay the danger by saying that only a very small number of users are affected. While this may be true in terms of statistics and overall numbers, it may be of little concern to those victims of the defective products and their families who have been injured or even killed. However, one thing to keep in mind is that you should not waste time in terms of calling an experienced products liability attorney. The reason for this is because many of these cases end up in class action lawsuits, and that means that your rights may be affected by what is already happening in court.